Thank you! I hope it will help you with your English. Hi! Do you want to learn English? Then, be my student. I love explaining concept. I was inspired by my past teachers that is why I love to pursue teaching. I am very friendly, patient and approachable. Pls add me on skype : princess_ella2371. And put the subject : I want to learn English, teacher. Thanks. We need more people here, share this page with other English learners! Pleaseeee! What can I do to start? that is very nice, i added your skype please accept. my skype ID: chan.songha88, thanks you in advance. I want to chat voice, where is it? You can talk here using your microphone and webcam. you can create use name on the skype and after you add your friend on the world study english following method AJ. hi how can I just chat when no one's here? Hey there can i chat with u? I did't Understand what to do after open the "Live Video Chat Room". Because no one was there. Then what is the speciality of this chat room? I thought may be a class is going on and I can join by internet directly. :(. does somebody want to chat? somebody, anybody help me with my english please i want develop my english speaking & listening chat with me!!! my skype is hObb1t5 if can't find write this hobb1t! Hello any body here ? hi you. me to, i think we must chat with other and speak very lot on the internet. best skype is a media helpful for everyone on the world and you and me. hi i need to improve my English , pleas help me , my skype id " knmashhoor "
i need practice english. i speak very badly. help me plz. It's 'I need to practice'. You need a preposition after 'need' when it's followed by a verb. All the best. Hello all. I'm sure that we can improve english skill. Hi Friend. My name is Alex and I have a dream! Dream to help children from Ukraine. In our country there are a lot of sick children, children without parents, and the help is necessary to all of them. I created fund and decided to address to each person in any country with a request for the help to these children. If it isn't difficult to you, transfer any sum on QIWI Wallet – (+380506534112), or Visa (4890 4940 4487 7025). If you have no such opportunity, passed this letter to friends, and we together will rescue a part of children's heart. Sorry, if disturbed. Thank you and Good luck! hi everyone if you want to speak you can add me on skype Arek Kajdas, thx. hello everyone please help me to improve English and add me in group. My skype: heouxinhxinh1211. Hi friend if u want learn really pls tell ur skype id or contact me on abubakkar153. because i 'm also want to improve myself. Anybody can contact me. Its not for fun. Beserious and learn. H! here. i just wanna have someone to chat with, to improve my english. hi,I need learn english and speak.Pleas help me! 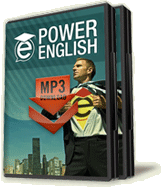 I've just already finished power English lessons and must say these lessons are excellent! An amazing way to learn English! I'm so glad to took these lessons and wanna to start LearnRealEnglish lessons as soon as possible! You are the best English teacher I've ever seen. I want to speak English fluently. I want to talk with a female who is a good conversant, not racist and easy to talk with. Age: Mid-twenties. Please reply in here if you are interested. just share this link with who you want to. You do not need to install any software or plugin, nothing. All you need is a browser updated like firefox or chrome and of course a webcam. I hope to find someone soon there, and speak effortless english. i want to improve my English skill. Pls add my SKPE . hello everyone please help me to improve English and add me in group. Hi guys!find me on skype. Eren rens .I like to improve my English speaking. Hallo. My name is Simon and I am Polish. I am looking for somebody to practice english together. My english level is intermediate. I am 29 y.o. If anybody is interesting, write me on skype. My nick is szymon.michalewski. hello is there any one? I wanna talk with someone by video chat, how can I do that? The more you use it, the more it produces. leave a message and your proper time in UTC "Coordinated Universal Time"
hello i want to make good communication skills. please help me somebody. Hi, I´m Andrés from México and I´m having a really hard time improving my conversation skills, if anyone wants to skype and practice with me your welcome, my username is "maesejulio". any bodu has a video which teaches speaking English from the beginning? hi everybody, I have gone many english courses and can not speaking yet,please help me, is this power course usefull?,will it help me speaking soon? Hello , I'm looking lady with a lot of patience , who speaks English well and help me with my learning. I speak little or nothing. A J , thanks. English study thanks to the energy that transmit your videos. Thank You. if you are interested then we'll start our lessons. Is anyone there??????????? How I can have audio chat? hi is any one there? I’m a new student just lesson 6 models is there any advices ? I have learned EE for 1 year. I really like to speaking English. Please add my skype: tanluong533. Thanks! Hello sir, I want to speak English fluently. How can I speak English fluently. There is no hidden magic to learn and speak english fluently. The more you communicate and converse with native english speakers and with those who can speak good english, you can improvise and excel. Keep communicating though you make mistakes thats how you learn and grow. is there anyone here ?? hi friends , how are you ?